Frank Usher makes electric six and twelve string guitars, fretted and fretless basses, mandolins and lap steels. Each instrument is hand made in the workshop by himself. Local timber from around his home in the Scottish Borders as well as more exotic species are used in construction. 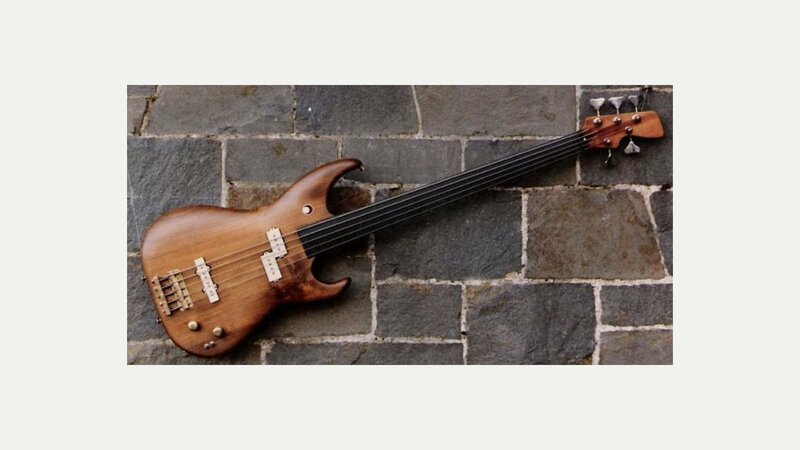 Since the late 70’s over 30 instruments have been built using various timber and hardware combinations, all to the players spec and Frank’s usual high standards. You have to play these instruments to fully appreciate their comfort, playability and sound.